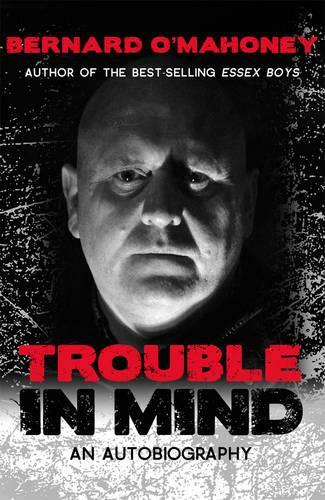 Trouble in Mind is bernard o'mahoney's unblinkingly honest account of his eventful life so far. Growing up in Dunstable, Bedfordshire, O'Mahoney regularly bore the brunt of his father's psychotic violence. After a spell in the army, he served two prison sentences for wounding, before moving to Basildon and forming the Essex Boys firm, one of the most successful and violent criminal gangs in British history. When O'Mahoney quit the firm, he received death threats from his partners, who were murdered less than a fortnight later. He was arrested in the aftermath of the triple murder but was never charged. As he began to distance himself from his shady past, tragedy struck when his young wife died suddenly and, grieving, he spiralled out of control and ended up serving another spell in prison. The Essex Boys firm has been the subject of three films and numerous books, but the gang's infamous activities are only one remarkable aspect of O'Mahoney's extraordinary life story, which he candidly recounts in this gripping memoir.